Selfies with Drew... it's kind of a thing I do. If I can, I try to grab someone for a selfie with me at the end of a meeting, event, random meeting on the street, etc. Yeah, it's a weird quirk of mine. Also, I am now aware that I own a lot of plaid shirts. Hope to see you in a Selfie with Drew! ANC 4C Chair Zach Teutsch and Mezcalero chef & owner Alfredo Solis, January 12, 2017. PN writer Lois Cooper poses for a Selfie with Drew. Hello! Mercedes poses for a Selfie with Drew on the 200 block of Upshur St, June 29th, 2016. Hanging out with the original Slim, the carpenter and namesake for Slim's Diner. June 29, 2016. Domku owner Kera Carpenter poses for a Selfie with Drew on June 25, 2016, Domku's last weekend on Upshur St.
Great to meet author Trey Graham at the Third Floor, June 11, 2016. Hanging with Councilmember Brianne Nadeau, March 28, 2016. NBC 4 reporter Jackie Bensen poses for a selfie with Drew. December 2, 2015. Selfie with DC author David Nicholson, September 2, 2015. Chef and restauranteur Alex McCoy poses for a selfie with Drew. August 31, 2015. Baba Ras D poses for a selfie with Drew at the Petworth Jazz Project. August 29, 2015. Eddie Suarez poses for a selfie with Drew at the Grant Circle Social, August 19, 2015. Mayor's Ward 4 Liaison Jasmin Benab poses for a selfie with Drew at an ANC 4D meeting, Aug 18, 2015. Hanging with Martin Austermuhle from WAMU, talking about Petworth community. July 14, 2015. Jamie Riley, Washington Post Local Opinions Editor, poses for a selfie at the Petworth News Shindig. June 29, 2015. (Those balloons behind me are... unfortunate, lol). Daniel Hausman (the blog's 1000th FB Like) poses with Drew at the Petworth News Shindig, June 29, 2015. Jackson Carnes (Ward 4 Constituent Services Director) poses for a selfie with Drew at the SW Petworth Lemonade Social. Commissioner Taalib-Din Uqdah (4C01) poses with Drew at an ANC 4C meeting. 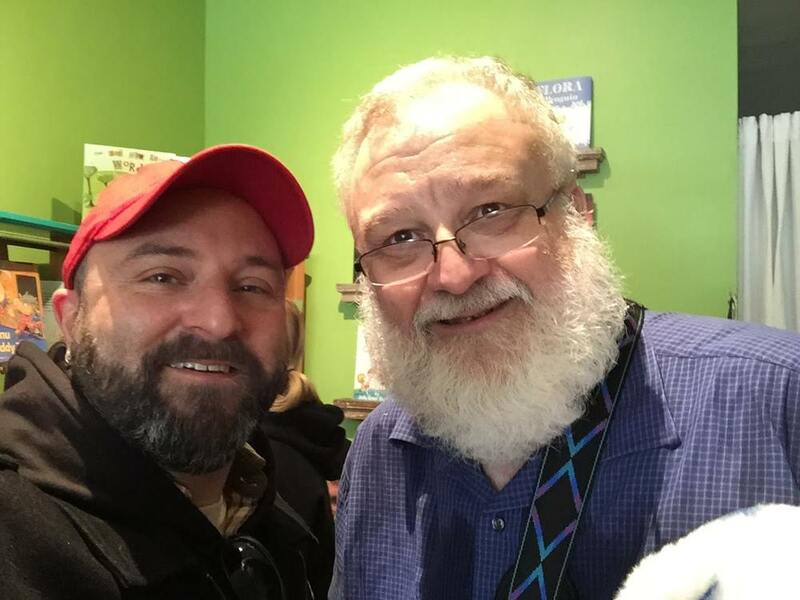 The *original* Petworth News blogger Bill Crandall posing for a selfie with Drew. MPD 4D Inspector Vendette Parker poses for a selfie with Drew at the #IWishUKnew event she held at the Petworth Metro. I appreciate that Inspector Parker is trying to connect with residents... and humors my quirk for selfies. Rainbow Joe Kennedy, Jr, percussionist. Artist Torie Partridge shares a selfie with Drew. Amy Symonds, Powell Elementary teacher, poses for a selfie with Drew at the Powell Carnival. Russ Breckenridge poses for a selfie with Drew at the Southwest Petworth Lemonade Social. Hanging with Zach Teutsch at the Lemonade Social. ANC 4D05 Commissioner Krystal Branton poses for a selfie with Drew. Rob Mandle poses for the obligatory selfie with Drew. Commissioner Bill Quirk poses for an obligatory selfie with Drew. Joe Martin poses for the obligatory selfie with Drew. John Ray poses for an obligatory selfie with Drew. Natalie poses for an obligatory selfie with Drew. Chris Brandt poses for the obligatory selfie with Drew. I look it, but I'm not stoned here. Captain Brian Bray poses for an obligatory selfie with Drew. David Sheon poses for the obligatory selfie with Drew. Avideh Mayville poses for an obligatory selfie with Drew. Rob Mandle poses for an obligatory selfie with Drew. Jeff Standish takes the obligatory selfie with Drew. Crystal Sylvia takes an obligatory selfie with Drew at the EL Haynes Community Meeting. Crystal has worked very closely with the school to represent resident concerns. She deserves a lot of credit for her work. Original Petworth News and the new Petworth News in one photo: Bill Crandall in an obligatory selfie with Drew. Maria Mandle poses for an obligatory selfie with Drew. Tom Pipkin poses for the obligatory selfie with Drew. 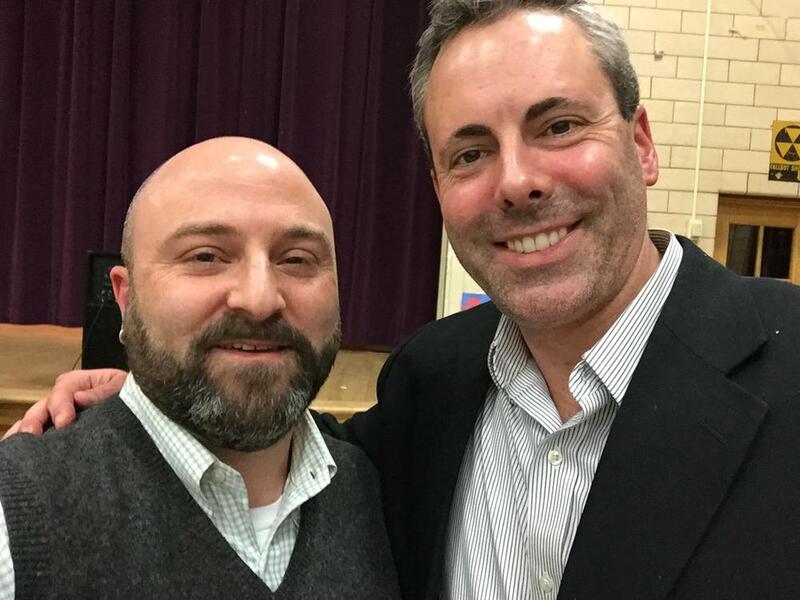 The ANC 4C meeting gets a selfie with Drew. Hanging with Bertram at the quota art exhibit. Had the pleasure of meeting Eleanor Holmes Norton this afternoon.